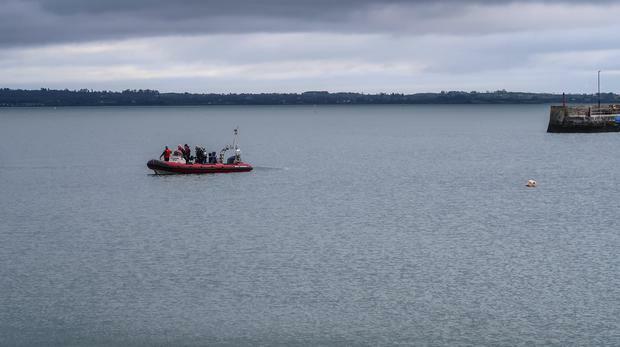 Gardai in Carlingford, county Louth say that a search is continuing of the harbour as they continue to look for a missing mother of three. Ruth Maguire (30), from Newcastle, Co Down, was last seen close to midnight on Saturday night/Sunday morning in the county Louth village. She was part of a group of 32 women on a hen. Searches are continuing on land and in the water for her. It is understood that CCTV shows her walking towards there and she is not seen coming back. Gardai are keeping an open mind and say they are examining all options including the possibility that she took a lift. A bouncer said he overheard her talking about making her way home after the group began to leave a pub in Carlingford at about 11.30 on Saturday night. 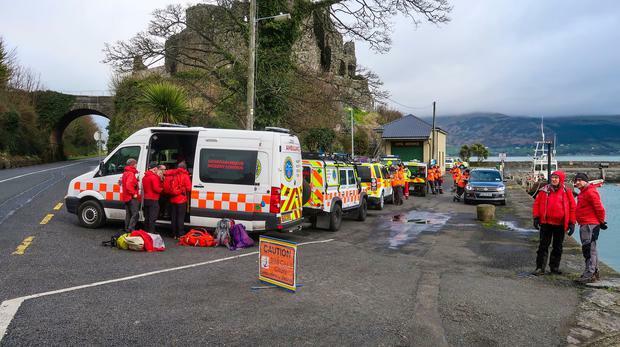 An Irish Coast Guard rescue helicopter, the Greenore Coast Guard, the Belfast Coastguard and Kilkeel Lifeboat joined in the search when it emerged that Ms Maguire posted a photograph on social media with Carlingford Lough close by. Her friend Katrina O'Hare said the group was on a hen party and was staying in a rented house in Carlingford. She said the group left Taaffe's bar in the village at around 11.30pm on Saturday night and was "all headed home to the house we are staying in", a walk of around five minutes. However, within minutes they realised that Ms Maguire was not with them and Ms O'Hare said "this is totally out of character" for her. The group, the majority of whom are from Belfast, began searching for her straight away but could not find her. A doorman heard her say she might make her way home to Newcastle, but her partner and children had gone to Belfast for the night. Her partner drove to Newcastle from Belfast yesterday morning but she was not there. Last night, it emerged Ms Maguire took a photograph and posted it to Instagram at around midnight on Saturday. However, her phone appeared to be turned off yesterday. Her coat was found in the bar she was last in with her friends. Ms Maguire is described as being tall and slim with blonde hair. When last seen she was wearing a black t-shirt saying 'Member of Irish Bride drinking team' and black jeans. The hen party arrived in Carlingford on Saturday and was due to leave today. Ms O'Hare said the disappearance of her friend "is awful, just awful". She appealed to Ms Maguire to make contact with her friends straight away or for anyone who knows her whereabouts to contact gardaí in Carlingford on 042-9373102. Friend Colette Delaney wrote on Facebook that Ms Maguire “had no coat and it was freezing”. She said she was “worried sick”. “Please God help her be found safe,” she added. The Garda Under Water unit has been requested and is expected later. Ian Begley A teenager and a 31-year-old man are in custody after gardai seized an automatic firearm at a house in Tallaght, Co Dublin. Allison Bray Almost every corner of the country should get its turn to bask in the sun this weekend, according to Met Eireann. Sorcha O'Connor Hundreds of environmental activists gathered in front of the Spire today as part of the Extinction Rebellion protests against climate change yesterday.